The first step is to join us at Monday night crew meetings. Come and hang out with some of the coolest people in the city – including YOU! Each week, all crews meet together, to eat, laugh, listen and grow community. You’ll learn active listening skills that will impact your interactions at school, home, and with your friends! 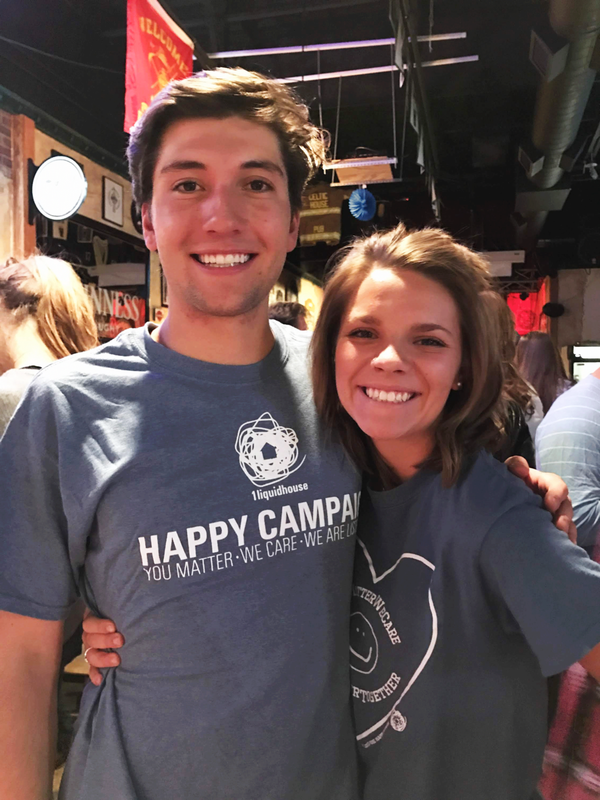 You’ll take stickers the first night and be able to start your happy campaign the next day! Text Amy at 303-916-1515 for the location! If you can't join a crew meeting, just reach out to us and we'll give you the simple guidelines, directions, and fun materials that you can use to run your own Happy Crew at your school! You’ll receive information on district wide crew meetings that happen every Monday night. CONTACT US TO PURCHASE A PACK OF STICKERS FOR YOUR CAMPAIGN!